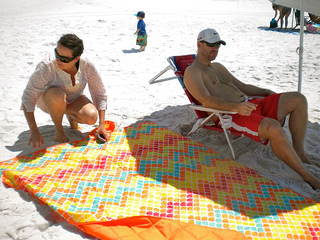 Beach blankets are special outdoor blankets designed specifically for use on the beach, grass or on the ground. 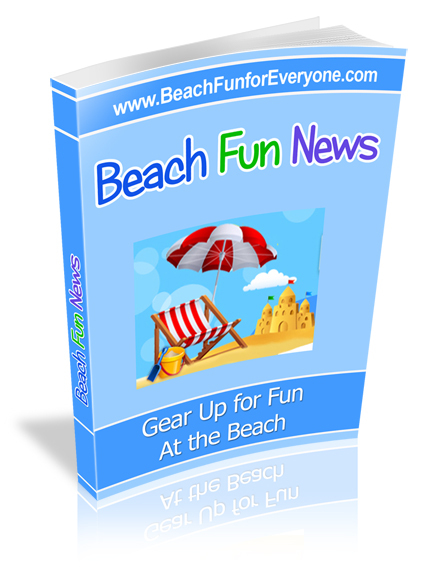 It can be used at the park, on a picnic, at sporting events or outdoor concerts. Anytime or place you want to sit or lay on the ground is the perfect occasion for a durable outdoor blanket. 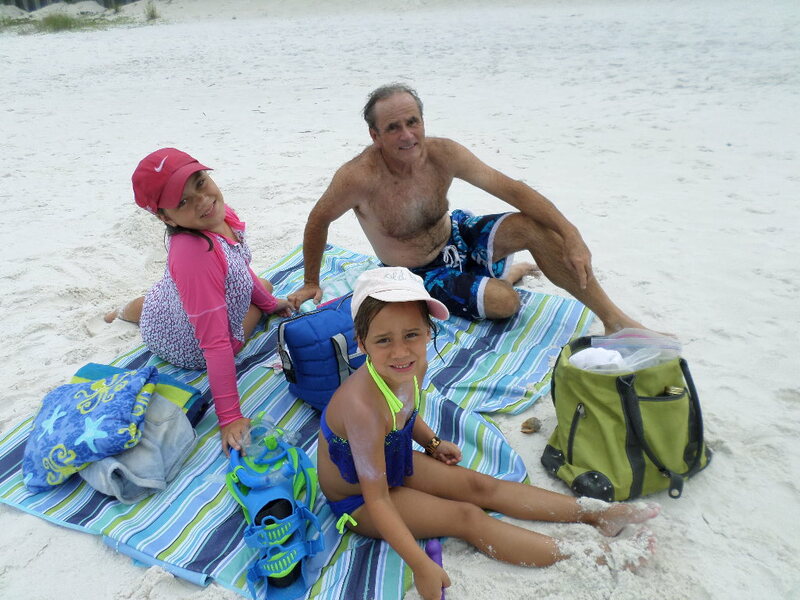 Everyone likes to set themselves and their beach gear down on a blanket to help minimize getting sand on towels, coolers, bags. etc. We love the feel of the cotton on top of this beach blanket - it just feels cool and comfortable on a hot day. A little bit of padding between the top and bottom layer adds another element of comfort. The bottom is made of a waterproof fabric so that if the sand or grass is wet the top of the blanket is dry. It measures 54" x 84" so there is ample room for kids and beach gear. Sand can be easily shaken off at the end of the day and if it gets food or drinks spilled on it throw it in the washer and dryer. The blanket can be folded up to fit into a small carrying case with straps and a side pocket. 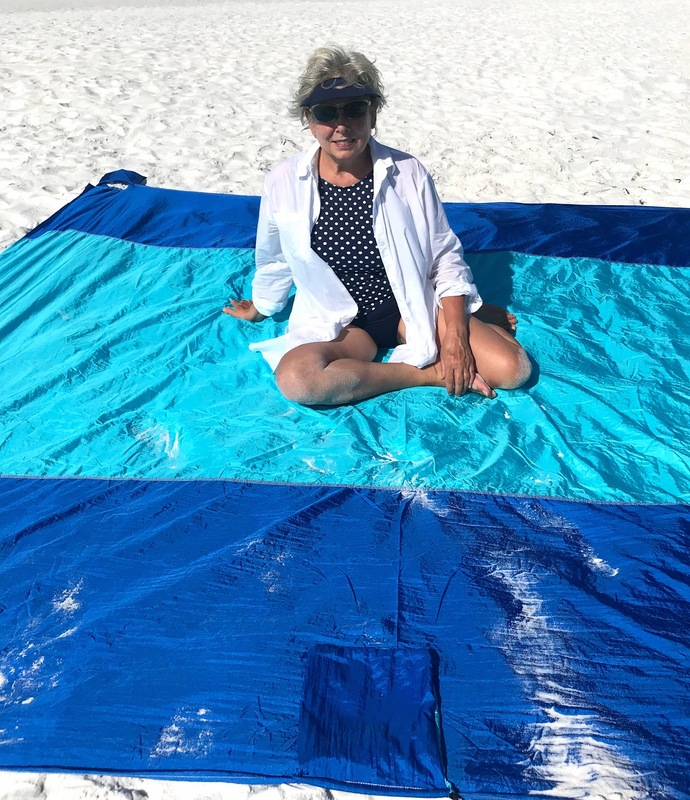 When the sand is all wet after a night of rain or from a sudden pop up shower, it's nice to have a large blanket that has a waterproof bottom like this one. The bottom layer is waterproof so if the sand or grass is wet the blanket stays dry. The top layer is soft and made of comfortable cotton. This one measures 54" x 84" . Of course it can be used at lots of other places besides the beach, like for a picnic at the park or for a spot to play or read in the back yard. The carrying case allows the blanket to breathe when folded up so it doesn't get musty or moldy if it has been on damp ground. Another type of outdoor blanket is made out of all nylon - it isn't as soft as cotton or terry cloth, but the sand doesn't stick to it. Just give it a little shake and the sand shakes right off. This one measures 9'x10'. Surprisingly it stays cool even in the hot sun and dries very quickly. It come with 4 stakes as well as corner pockets to fill with sand. Fill them with sand and your blanket stays put on a windy day. 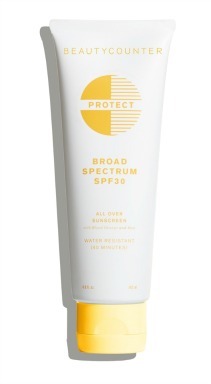 Since it is very light weight it's easy to stuff it into the carrying case to pack in a suitcase or in your beach bag. It's machine washable and can be used for outdoor picnics as well. More than a blanket, this item has two pockets that can carry your water bottle, sun screen or other items. 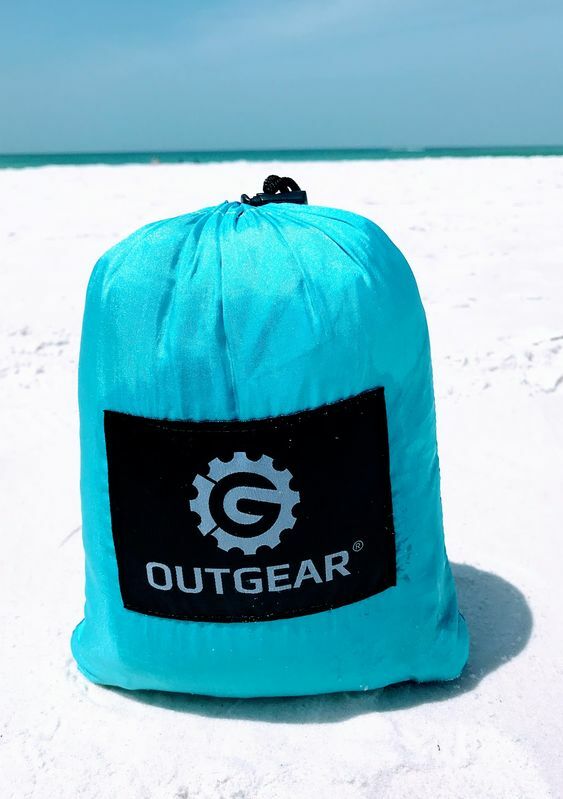 Lightweight, at about one pound, it can be easily carried over your shoulder so your hands are free to haul your other beach gear. It's large enough for four adults so it may be the only blanket you need for a group or family. Just because it's big doesn't mean it doesn't fold down into something small. Not made of fabric, but rather polypropylene which means it is weather-proof and mold and mildew-resistant. When needed, clean it by wiping it down with a wet cloth or hosing it down and leave it outside to dry. 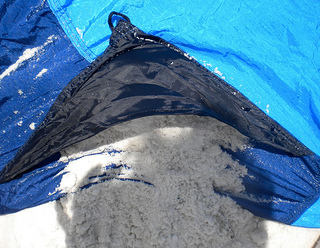 Another type of fabric to use on the sand or outdoors is microfiber. Anchor it by putting sand in the corner pockets. Large enough for at least two adults, this blanket measures 76 x 64 inches. What people like about this fabric is that it takes up hardly any space in your suitcase or beach bag because it can be rolled up to a very small compact size. Unlike a terry cloth towel it is very light weight yet it is absorbent and dries quickly. The sand will stick to it more than the parachute fabric - but it feels softer. Options of orange, pink, lime, green or blue solid color will meet the taste of those of us who like color on the beach. Throw it in the washing machine for easy care. SportLite Beach Blanket: 100% Microfiber with Corner Anchor Pockets, Big Enough for 2 People at 64" x 76"
These outdoor blankets provide a comfortable place to spread out at the beach - with friends, family members, or by yourself with lots of extra space for your food, drinks, books, cell phone, ipod and whatever else you bring.